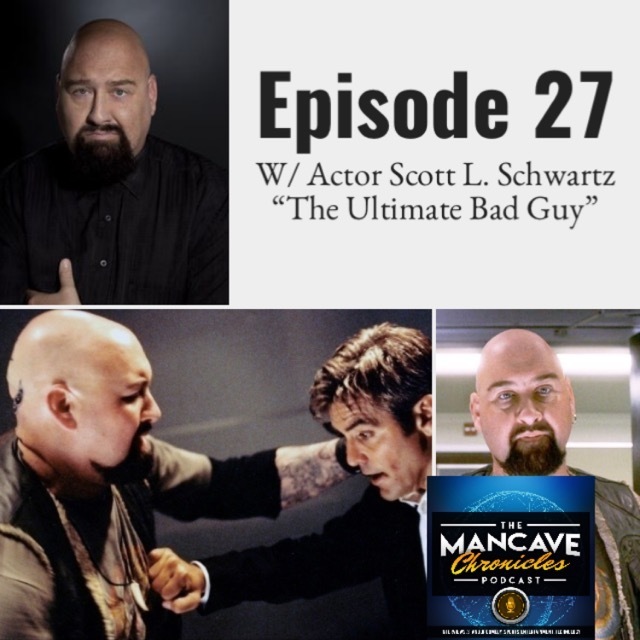 On this week’s podcast, I had the pleasure of speaking to Scott L. Schwartz. Scott is an experienced Producer and Director for over 20 years in film and tv. This Actor’s size and ability to look mean have made him the perfect choice as the villain in such films and tv shows as Buffy the Vampire Slayer, Angel, Charmed and more. The “Ultimate Bad Guy” grew up in Philadelphia where he played football, baseball and Ice Hockey. After college he became a professional wrestler. He is most recognized for his role in the Ocean Eleven Movies, Spider-Man, and a few others. You can find Scott on twitter @ScottLSchwartz.